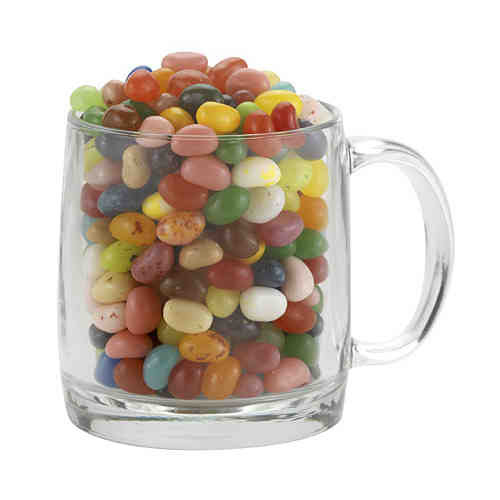 Product Option: Gourmet Jelly Beans - Nordic 13 oz glass mug with handle and choice of fills. Product size: 3.75"H x 3.25"D. Food is individually bagged. Price Includes: Available on bottom of cup only.